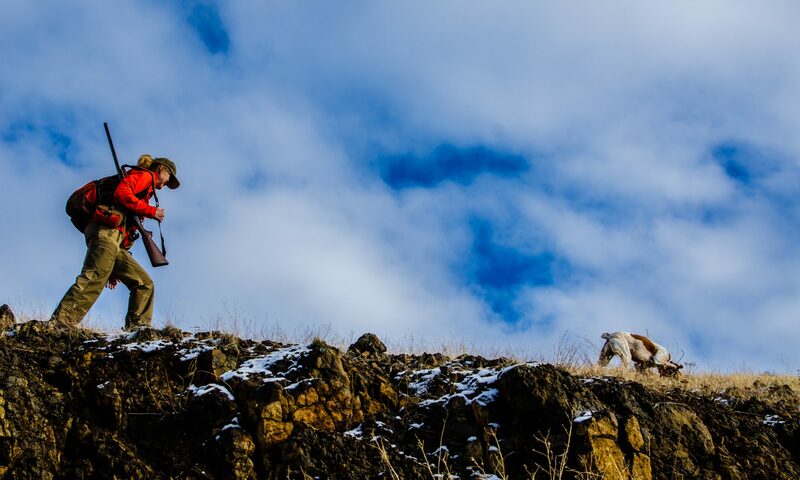 Now that most chukar seasons are over, one of the things we can do to bide the long months ahead before next season opens is to come up with some good dishes using the birds we have waiting for us in the freezer. I like making risotto but had never done it with birds before. It’s a fairly labor- and time-intensive dish but not too difficult in terms of culinary skill, and the end result is usually outstanding. So I came up with this recipe, which turned out to be very tasty, while I cleaned the last two fresh chukar I’d been aging last week. Enjoy! In a large stock pot, heat the olive oil over high heat. Add the peppered bacon, onion and garlic. Saute until garlic starts turning golden. Add the mushrooms, half of the chopped sage, salt & pepper, and chukar meat. Stir thoroughly and cook for one minute. Add white wine and continue cooking over high heat for a couple more minutes, making sure the chukar meat is no longer pink. Reduce flame on large pot to medium high and add the arborio rice. Stir it in thoroughly, and then add one ladle-full of the simmering stock, stirring the risotto constantly. When all of the liquid has evaporated, add another ladle of stock, continuing the constant stirring. Repeat this process until the rice is just cooked enough. Depending on your ingredients, your pot and heat source, it should take about 30-40 minutes. If you run out of stock, have a reserve of boiling water ready to add, or use more stock, but make sure when you add it that it is boiling or you’ll mess up the rice. When done, spoon into shallow soup bowls and garnish with the remaining fresh sage and grated Parmesan. Hey, I keep coming back this recipe and it sounds delicious! But my question is, I have about 2.5 pounds of quail/chukar. Do you think it will be sufficient to x2.5 on everything in the recipe? Thanks for the nice words. I would think you could increase all ingredient amounts proportionally, but you might want to eye the liquids to make sure it’s not getting either too dry or too soupy… I hope it turns out great.